(7-CD LP-sized box set with 104-page hardcover book) Rod McKuen's complete 1960s RCA Victor recordings are compiled in a lavish boxed set of 7 compact discs. Rod McKuen's books of poetry have been published in eleven languages, sold 65 million copies, and placed him securely among the most popular poets of all time. 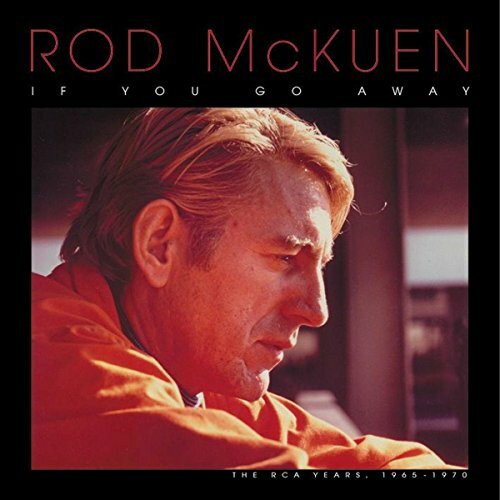 These 195 recordings represent Rod McKuen at the peak of his mid-to-late 1960s popularity and include his Gold album Listen To The Warm. Features dozens of unissued performances, with most tracks never before released on CD anywhere. The large format hardcover book extensively documents this period of McKuen's life and includes many rare and unpublished pictures from Rod's collection. If you have any questions about this product by McKuen, Rod, contact us by completing and submitting the form below. If you are looking for a specif part number, please include it with your message.